Crooked or misaligned teeth can be unsightly and have a massive negative impact on the daily lives of adults and children. And the effect goes beyond mere aesthetic issues, as people with crooked teeth are also at risk of long-term dental and general health issues. Thankfully, Forster Dental Centre is here to tell you that we offer modern solutions, orthodontic and cosmetic, for people of all ages with misaligned teeth. Let’s take a look at the causes of crooked or misaligned teeth, the problems they cause, and what Forster Dental Centre can help you do about it. There are several reasons some people’s teeth grow in overlapping, crooked, or twisted. Mouths are crowded because people’s mouths are physically too small for their teeth. This crowds the teeth and they are forced to shift. Size mismatch. In some cases, a person’s upper and lower jaws are different sizes or oddly shaped, resulting in either an overbite (upper jaw protrudes) or an underbite (lower jaw protrudes). 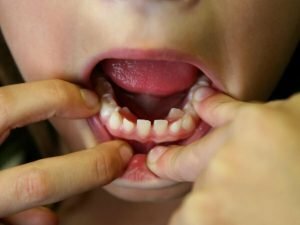 In most cases, crooked teeth, overbites, and underbites are inherited just like the colour of your hair and eyes. Common oral health problems in children including thumb sucking, tongue thrusting, prolonged use of a bottle, or pacifier use after the age of three. What issues do crooked teeth and misalignment cause? Get in the way of proper chewing. Make teeth-cleaning more challenging, increasing the risk of decay, cavities, and gum disease. Strain the teeth, jaws, and muscles, leading to an increased chance of a broken tooth. For many people, the biggest issue with crowded, gapped, protruding or misaligned teeth is the effect on overall physical appearance and the first impressions misaligned teeth give. They affect self-esteem and can cause self-consciousness and reduced confidence. Normal expressions of happiness like smiling and laughing can be difficult for people with misaligned teeth. In most cases you can see for yourself if teeth are crooked, your Forster Dental Centre dentist can determine if the problem warrants treatment. What can you do about misaligned teeth? The first step towards an answer to crooked and misaligned teeth is to visit your Forster Dental Centre dentist. There are several orthodontic approaches to correcting the alignment of teeth. Braces are the most common treatment option. Constructed from a variety of materials, braces slowly move teeth into place using pressure over a long period. In the most traditional form, wires are used to move the teeth in place. In the past, these braces were clunky, uncomfortable and obvious, but nowadays modern dentistry has made them less visible. Traditional braces are not removable. The Invisalign system uses a series of clear removable plastic trays and is very popular for those interested in the most aesthetically pleasing (meaning most difficult for others to see) solution to crooked teeth. The Invisalign straightening system can help close gaps in your teeth and straighten crooked teeth without the discomfort and appearance of metal braces. Invisalign uses clear, removable aligners that your dentist custom moulds to fit your teeth. One of the outstanding advantages of Invisalign is that it is virtually invisible, so for those who are self-conscious about wearing traditional metal braces, clear braces are an ideal option. They also make life a bit easier than traditional braces, as they can be removed to eat, perform oral hygiene tasks, play sports, play instruments, etc. For some people, a retainer is all that is needed to fix slightly crooked teeth. Porcelain veneers are one other option. Although they don’t move your teeth, they can be a good solution for crooked or gapped teeth that only require aesthetic improvement. These veneers cover the crooked teeth rather than move them into better alignment. They go on quickly and they look great. 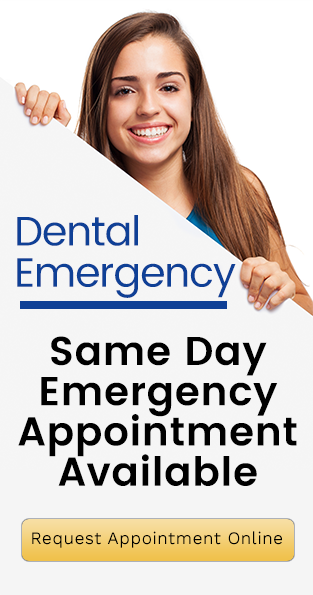 If you have crooked, gapped, or misaligned teeth, give us a call, today, at Forster Dental Centre, we have solutions!